With the discovery of the BBC photos came my spending of a great many hours studying all the images to learn (the hard way) how props and old sets had been made. It was a chance to examine and scrutinise the clarity of the details they contained, and understand how and why things were put together in the way that they were- something I've become an expert in doing over the decades and which shows itself in things like the EMPEROR DALEK. But within these BBC photographs, I also found a great 'beauty' in the actual image itself. (Can a photo of a monster be beautiful? Yes!) These photos were the 'works of art' of DOCTOR WHO, which often captured forever a moment in time that had long since passed, or been destroyed by the BBC themselves, with their short-sighted wiping of old episodes. And sometimes even showed a better version of a set-up that should have appeared in the episode itself- four DALEKS on Westminster bridge, for example! However, for all of my great DALEKY interest, and from all of the images of DOCTOR WHO, probably my absolute favourite is the true classic from INVASION, showing my favourite CYBERMEN walking down the steps near ST.PAULS, in London. Words aren't needed- the picture says it all. (In 1979, I even recreated the pose in my grotty CYBER-costume, and it was featured in fan mag, TARDIS!) My 2nd favourite image is of the SEA DEVIL in half-shadow, pointing the heat-weapon menacingly at the viewer. After DALEKS and 60s CYBERMEN, the original SEA DEVILS are my next best monster, as they're rather cute! I would have loved to have owned, or even seen, the original masks. And as the years have gone by, I've discovered that I've added to the image-bank, as a lot of my own work has now appeared on covers of magazines, and merchandise. My CYBERCONTROLLER, and DALEK models, first seen in DOCTOR WHO MAGAZINE in the 80s, ended up on the covers of the official BBC video releases of DALEKS INVASION EARTH, and TOMB OF THE CYBERMEN, in the early 90s. 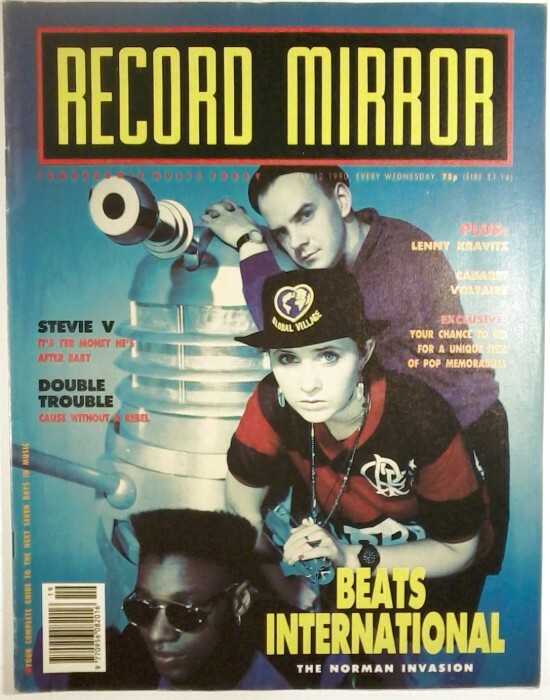 DJ legend, FATBOY SLIM, aka NORMAN COOK, posed with my old MISSION DALEK, on the cover of a music mag. Some American trading cards used my DALEKS on their box, with SYLVESTOR McCOY (DOCTOR 7). Many, varied sci-fi magazines have featured my work over the years, including DOCTOR WHO MAGAZINE, who used the photo of TOM BAKER and my black DALEK. 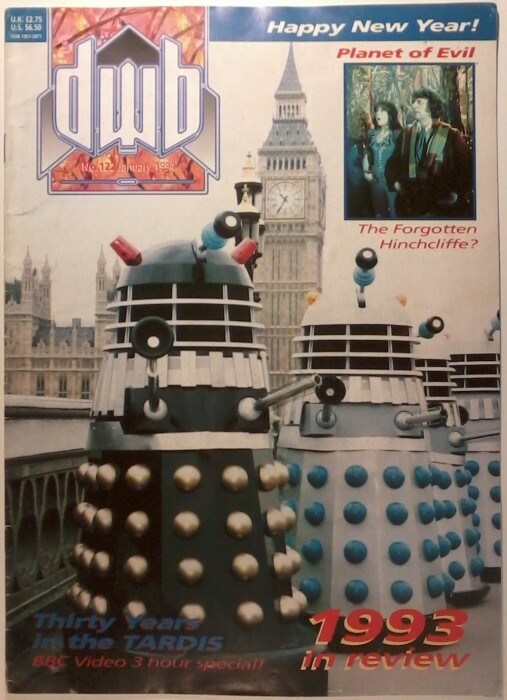 But the best one for me, was to see my DALEK work on the covers of the four-issue spread for DOCTOR WHOs 40th anniversary, in RADIO TIMES, back in 2003 (My old VIRGIN BOOKS blue and silver version). That was great!